Herewith an oldie, but goodie. Think of it as a belated St. Patrick’s Day post. 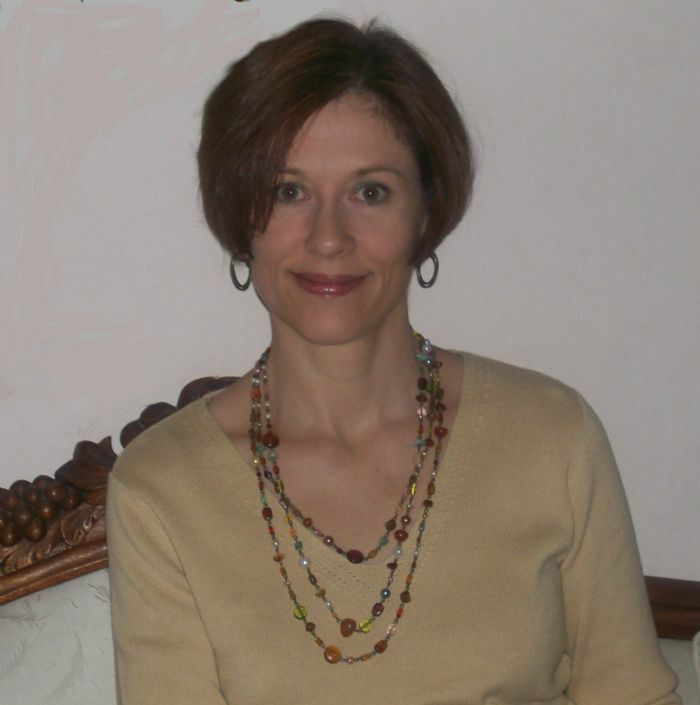 I heard some folks talking about green smoothies and remembered this wonderful work by Lea Ann Savage back in the early days of the blog. 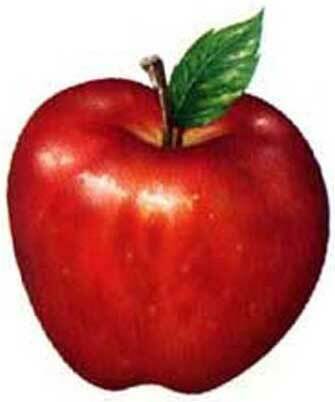 What is a Tasty Apple Dessert or Snack? When I lived in London, I experienced some very nice dishes despite being a vegetarian at the time. One of my fondest recollections is the postprandial cheese and fruit tray. It always felt so civilized to finish up a meal with some palate cleansing fruit and/or cheese. That brings me to, as Monty Python would say, “Something new and completely different.” Back in August I wrote about The Dark Side of Apples and confessed to my weakness for apple pie, apple turnovers and apple cobbler. In that item, I also mentioned that I still try to eat ‘an apple a day.’ Last April I wrote about how Eating an Apple a Day Improved Cholesterol Levels. The something new and completely different is a simple variation on the European cheese and fruit tray. For the past few days I have been including gorgonzola cheese with my apple snack. I cut the apple into about eight parts and then spread gorgonzola cheese on each part as I eat it. I love the combination of tastes and textures as the sweet apple meets the biting taste of gorgonzola and explodes on my taste buds. I would like to recommend this to anyone looking for a very healthy and nutritious snack or dessert. Although I have a picture of a wedge of gorgonzola here, I prefer it crumbled. I think it combines better with the apple that way. Of course, you can get crumbled gorgonzola by the tub at Costco. This is a classic Mr. Lazy Cook dish; utter simplicity. The apple amounts to 95 calories, 0.3 grams of fat, no cholesterol, 1.8 mg of Sodium, 25.1 grams of carbohydrates, 4.4 grams fiber and 0.5 grams of protein. One and a half ounces of gorgonzola yields 150 calories 12 grams of fat, 7.5 grams of saturated fat, 45 grams of cholesterol, 420 mg of Sodium, no carbohydrates, no fiber and 9 grams of protein. Okay, there is a lot of saturated fat there and a fair slug of Sodium too. But, it is also a good chunk of protein. Don’t miss The Dark Side of Apples. You can decide for yourself if this fits your nutrition template. I think it works well with mine – and tastes great, too! As the old song goes, I don’t care if it rains or freezes, as long as I’ve got my crumbled cheeses. Although I have specified Gorgonzola, you can use any blue cheese for this snack. 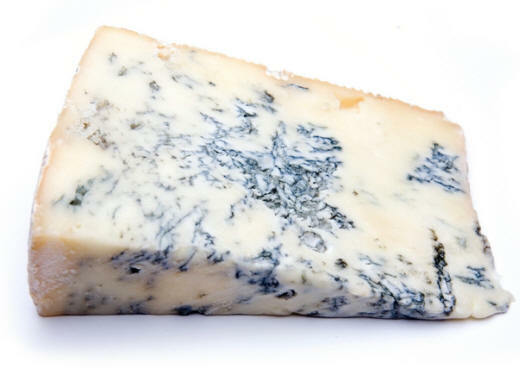 Gorgonzola is Italian blue cheese. I am Italian. I picked this up from one of the creative folks in the Vitamix Enthusiasts Group. Thanks, Diane! Have to admit it seemed an unlikely combination at first, but it sounds delicious. 1. Stir chia seeds into cold milk and allow to thicken for a few minutes. 2. Add cocoa and agave to chia/milk mixture and stir. 3. Place ice cubes in Vitamix and add other ingredients. 4. Process on variable, from 1-10 and a few seconds on high. I wrote about Chia Seeds back in July and suggested a number of ways of integrating these healthy seeds into your diet. Mr. Lazy Cook gives this one a big thumbs up. 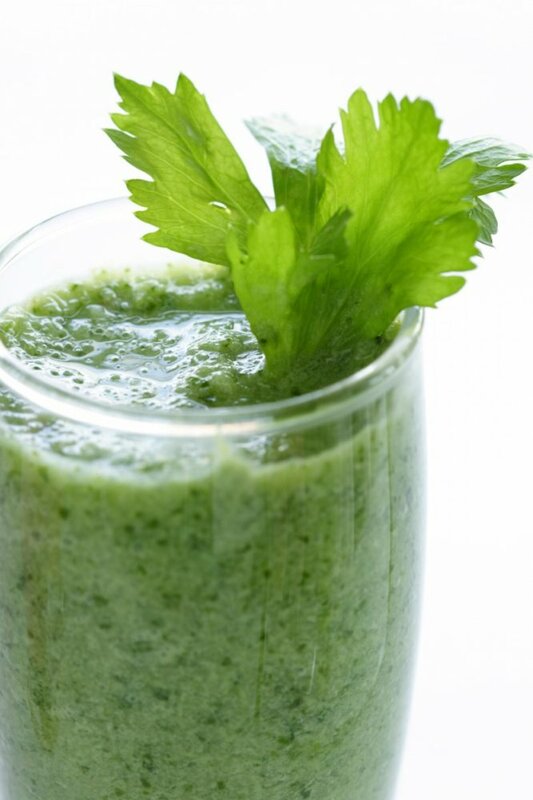 I have used the Vitamix machine daily for over five years and recommend it highly. Lee Ann Savage is my favorite Vitamix Lady. You can find out more about using the machine as well as get a deal on buying one from her website. 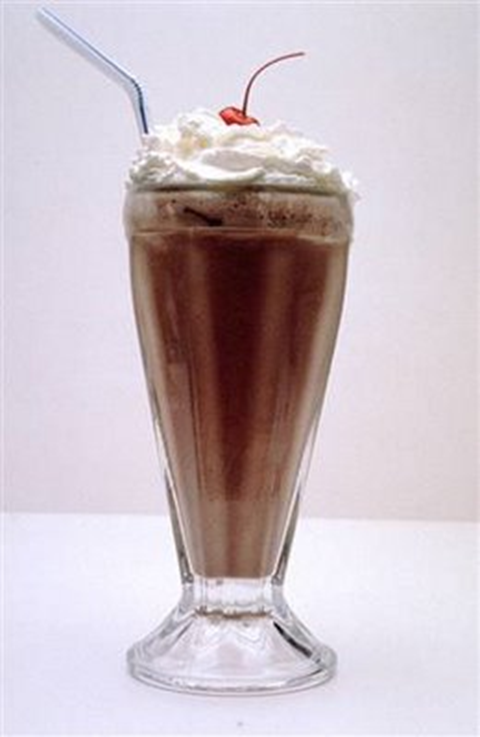 Read the Chocolate Chia Seed Milk Shake recipe here. Check out Dr. Oz on Chia Seeds here. 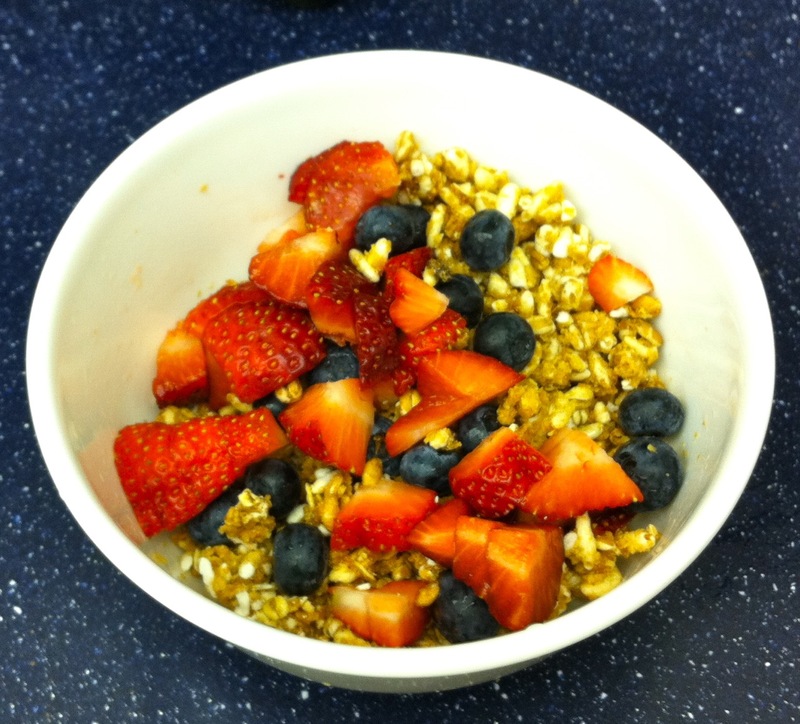 Here is a Chia seed Super Breakfast. Supermodel Miranda Kerr likes them too. Chia Fresca – the energy drink. Interested in other super foods? Check out my posts on Hemp Seeds and Quinoa. Reader Lea Ann Anderson Savage submitted this very tasty recipe to the blog in a comment on my Drinking a Watermelon item. If you own a Vita-Mix machine check out Lee Ann at her website. She has lots of very helpful info there. “Hi Tony – I’m a Vita-Mix sales demonstrator and your very inspiring post leads me to want to share my recipe for watermelon “sorbet.” I am basically a very lazy person (hence my love of the Vita-Mix machine) and although I should puree the watermelon first and pour it into ice cube trays, what I end up doing is scooping globs of watermelon and plopping them into the holes of the ice cube trays in arrangements so that none of the “globs” touch another. “When they are frozen, I place the frozen globs in with unfrozen watermelon (in roughly a 3 cups frozen to one cup unfrozen) ratio and – voila! Awesome Watermelon Sorbet! 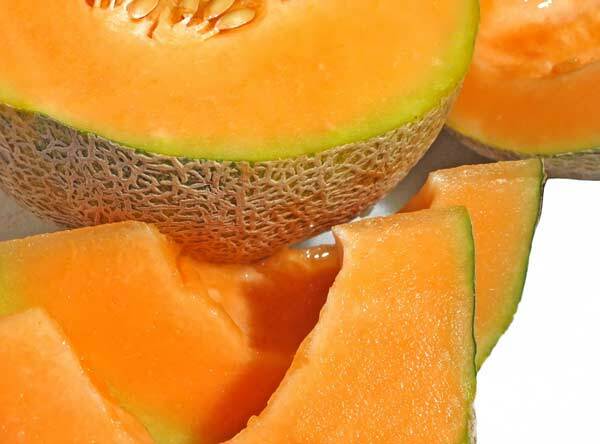 You can read How Healthy is Watermelon and Dr. Oz on Watermelon also in our blog. I am a firm believer in eating fresh when possible. In the summer time I do it more because there are more fresh ingredients around. Today, I happened upon a really nice combination that actually left me feeling pleasantly full, a rare feeling after eating a salad. I mostly feel like salad is a lovely starter, but the real food is the main course. So, today’s lunch salad was a pleasant surprise to me. Chicago has been having some really cold, for May, weather. We had 30s and 40sF some mornings last week. Because of that I had cooked up some barley and was using it with a soup I made up in my slow cooker. Well, all of a sudden the weather has shot past late May into July and August as we have mid to high 80sF here. The good news is that I had eaten the last of my slow cooker soup on the weekend. The bad news (on first glance) is that I still had a lot of barley left over. What to do with it? mid-summerlike weather is no setting for a hot soup. So, I tried to concoct a salad appropriate for the weather. I got some baby spinach from my grocery store. That would be the basis for the salad. To a couple of handfuls of baby spinach, I added a carrot cut into thin coins, a handful of walnuts cut into small pieces ( I always like to have a protein source in a salad ), a handful of fresh blueberries for a sweet accent, a couple of mushrooms cut up and finally, about 1//2 to 3/4 cup of the cold already-cooked barley from the fridge. The salad oil I used was Newman’s Light Balsamic Vinegar because I think it has a great ‘spark-up’ taste in a salad. Mix it all up well and dig in. My little impromptu salad turned out to be a great success. The barley added enough ‘weight’ to the ingredients to fill me up very well. I definitely did not find myself looking around for something to eat when I finished. The 2/3 cup of barley yielded 129 calories 0.5 grams fat, no cholesterol, 3.1 mg sodium, 29.6 grams of carbohydrates, 4 grams of fiber and 2.4 grams of protein. The Balsamic vinegar showed 2 tablespoons as 45 calories, 4.0 grams of fat, no cholesterol, 470 mg of sodium, 2 grams of carbohydrates, no fiber or protein. This was definitely a low calorie high nutrition meal. As with all salads, the amount of salad oil you use will add to the calorie total, so at least pay attention to how much you use. Each to his own. As you can see, this simple piece of Lazy Cookery fell together in a matter of minutes. Check it out and always feel free to add or subtract any ingredients that you might like more, or just happen to have in the fridge left over. You too can be a lazy cook. Well, I finally got around to steaming some veggies in the Pasta Boat. When I first bought the Pasta Boat and wrote it up last November I promised to steam some veggies and let you know how it worked. I am happy to report that the Pasta Boat steams veggies as simply and efficiently as it cooks pasta. There is a steaming rack included in the Pasta Boat package. You only use it for steaming. It is clearly marked not to be used for pasta. 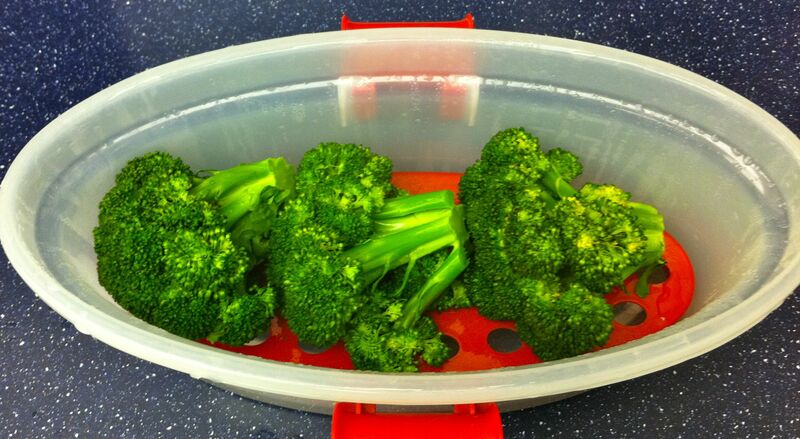 I got a couple of cups of broccoli, rinsed it off and set them inside the Pasta Boat. I had the steaming rack inside along with a cup of water. Steaming is utter simplicity, right up Mr. Lazy Cook’s alley. Cook on high for five minutes. Steaming just brings out the freshest color, doesn’t it? 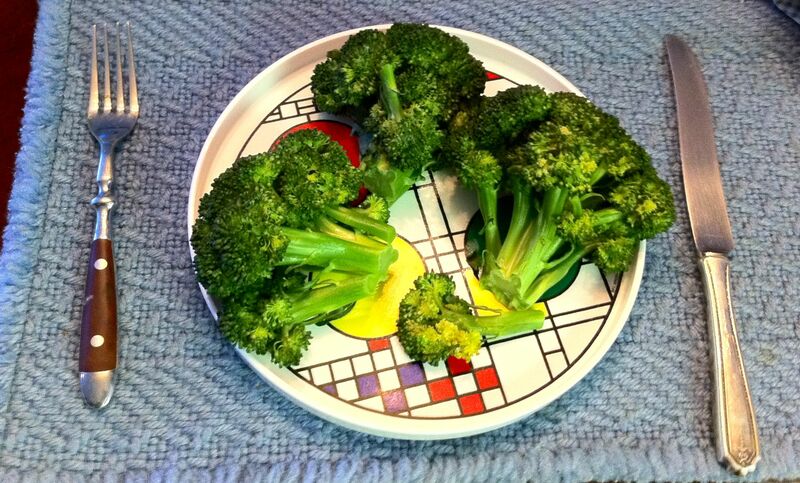 The photos show the rich green of the freshly steamed broccoli. Broccoli breaks down as follows nutritionally: One serving is a cup. 31 calories, no fat of any kind, no cholesterol, 30 mg of sodium, 6 grams carbohydrate, 2 grams of fiber and 3 grams of protein. Again, I recommend the Pasta Boat. I have made my own pasta in it since the day I bought it. As they used to say on Monty Python, “And now for something completely different.” Despite the hot spell in Chicago this summer, I decided to use my Vita Mix machine for something completely different from the wonderful cold drinks I have been making – hot soup. One of the amazing benefits of the machine is that it allows you to prepare hot soup right in the container because of its terrific power. A side benefit for me is that it gives me a place to use the left over chicken breast from my Costco rotisserie chicken. 1. Place broth, skim milk, onion, two potatoes, and rosemary into the Vita Mix container and secure lid. 4. Blend for 4-5 minutes or until heavy steam escapes from the vented lid. 5. Reduce speed to Variable 3 and remove the lid plug. 6. Add spinach and reserved potato through the lid plug opening and blend until potato is chopped, about 15 seconds. 7. Drop in chicken and blend for an additional 5 seconds. This is a very quick fix for a super tasty first course for dinner, high on the priorities for Mr. Lazy Cook. Now, we are going through a tropical heat wave here in Chicago. There were severe heat warnings issued about caring for the very young and the elderly. They made me uncomfortable about my morning bike ride. I did it, but felt uncomfortable about it. Anyway, the thought of making instantaneous (and healthy) ice cream in my new machine was just too much temptation. I went down to the grocery store in my building and got a fresh mango. I don’t know that I have ever had mango, but this was an experiment. Why not try new ground? I followed the instructions on the DVD. I put in 1/4 cup of milk, all of the mango that I could get free of the peel. Some sugar (obviously, this has to be ‘to taste’). Two cups of ice cubes later and I was ready to power up. The Vita Mix blended and pulverized the contents of the container inside of a minute and just like in the DVD I had a lovely frozen treat. I got lucky on the amount of sugar because my mango ice cream was delicious. I ate up what was probably two cups of it and I consumed little more than 100 calories. 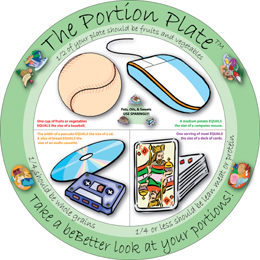 Keeping in mind the lessons we learned from the Portion Plate, the two cups of delicious homemade ice cream I consumed would equal around 600 calories of store bought ice cream. One cup of sliced mango has 107 calories, no fat or cholesterol, 3 mg of sodium, 28 grams of carbohydrates, 3 grams of fiber and one gram of protein. 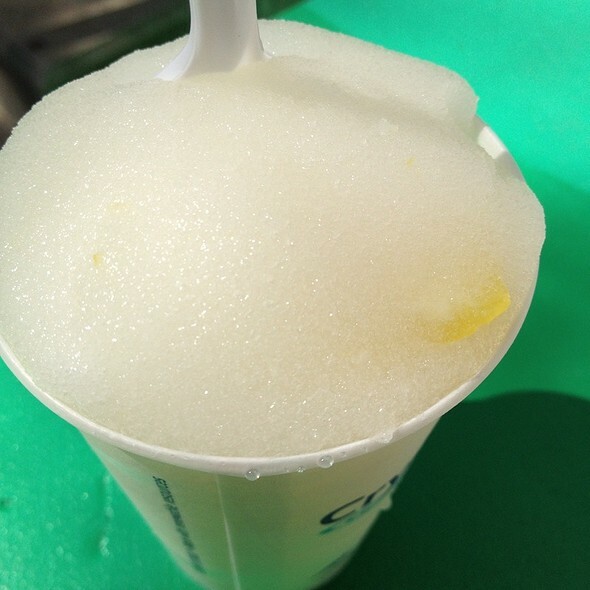 An awesome cold treat on the steamy hot Chicago summer days, and it was extraordinarily simple to create. Vita-Mix – Lemon Ice – Italian Lemonade? What about Italian lemonade? First, a bit of clarification. In Chicago, we have a high caloric delicacy called Italian Beef. John wrote about it in his piece on food extremes. In Chicago, there are Italian beef stands that sell wonderful sandwiches of very thin sliced beef which has been marinating in spicy beef gravy. 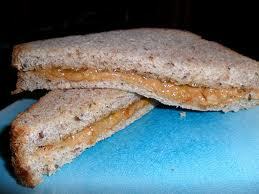 The gravy is integral to the sandwich. One option when ordering is whether you want the bun ‘dipped’ in the gravy or not. Most folks think it tastes better dipped. It’s just a little sloppier to handle and eat. Although these are called Italian beef sandwiches they are only sold in Chicago. Perhaps they should be called Chicago Italian beef sandwiches. Or, maybe Chicago beef sandwiches. It just so happens that they are sold at Italian beef stands. Anyway, oftentimes, very near the Italian beef stands there is an Italian lemonade stand. As a Chicagoan, I am very familiar with them. However, I don’t know if they exist outside Chicago. Italian lemonade is a soft sherbet-like treat that is slightly more firm than slush, far less firm than frozen sherbet or ice cream. I saw the recipe for lemon ice in the Vita-Mix cookbook for my old Model 5000 machine and tried it. I was very excited to think that I might be able to duplicate the lemonade that I had loved as a child from Italian lemonade stands here. 4. Use the tamper to press ingredients into the blades. 5. In about 30-60 seconds, the sound of the motor will change and four mounds should form. Nutrition facts for 1/2 cup serving: 35 calories, No fat or cholesterol. 1 mg sodium, 9 grams of carbohydrate, no fiber or protein. Bottom line on the taste: Super! Just like the Italian lemonade stands. This is an awesome hot weather low calorie treat. It tastes fantastic right out of the Vita-Mix machine. If you make more than you want to eat you can freeze it to eat later. Is that a Mr. Lazy Cook dream recipe, or what? In case it isn’t obvious, I am thoroughly enjoying my new Vita-Mix machine. What is a Good Healthy Cold Treat for Hot Weather? I love ice cream, but if you have read our any of our portion control items, you know that a single ‘serving’ of ice cream is a mere 66grams, or half the size of a baseball. It just doesn’t last very long. Also, ice cream isn’t really very healthy for you. It is one of those ’empty calorie’ treats nutritionists always rail against. Small side detail. I have a little dog who is great fun and I take lots of pictures of her. I am a member of a website for photo-minded pet owners. 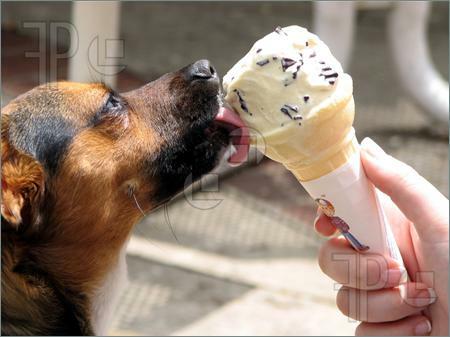 I noticed lots of photos of dogs licking ice cream cones and thought that was a really bad habit to allow a dog to have. On the other hand, the dogs were clearly very happy with their ice cream. I wondered what I could give my dog that was cold and tasty like ice cream, but good for her. I knew she loved yogurt and also peanut butter. What about combining them? That’s how I, Mr. Lazy Cook, created Yogurt Peanut Butter popsicles. The recipe is as follows: Take two cups of plain yogurt and two tablespoons of peanut butter blend them together with a couple of teaspoons of honey (to taste), pour into an ice cube tray and freeze. This is another simple but effective recipe for someone like me who wants to eat good food but doesn’t want to spend a lot of time preparing it, Mr. Lazy Cook. I call it my “black & tan rice.” It is a delicious combination of black beans and brown rice. Although brown rice takes around 40 minutes to cook, I make up a quantity large enough to last me about a week. That way, after it is made, I simply take it out of the fridge and nuke it. This is a great side dish that supports any protein entree. To 3-1/2 cups of water, I add two beef boullion cubes. Bring it to a boil and add a cup of well-rinsed brown rice. Once it returns to a boil reduce the heat, cover and let it simmer for 40 minutes stirring occasionally. The wonderful thing about cooking something this long is that it swells up big-time. Take it off the heat and let it stand for five minutes covered to absorb the rest of the water. 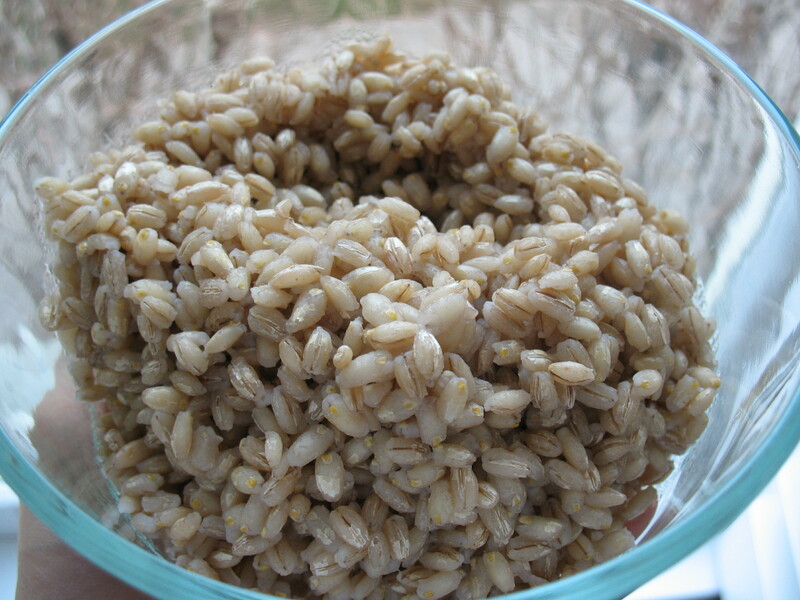 You now have around two pounds of brown rice that should easily last a week. Black and Tan Rice in a Corelle bowl. I buy black beans by the can and mix to taste. For me it comes out to be about 1/3 beans to 2/3 rice. By all means pour the juice from the beans when mixing. I nuke this about a minute and serve it up. 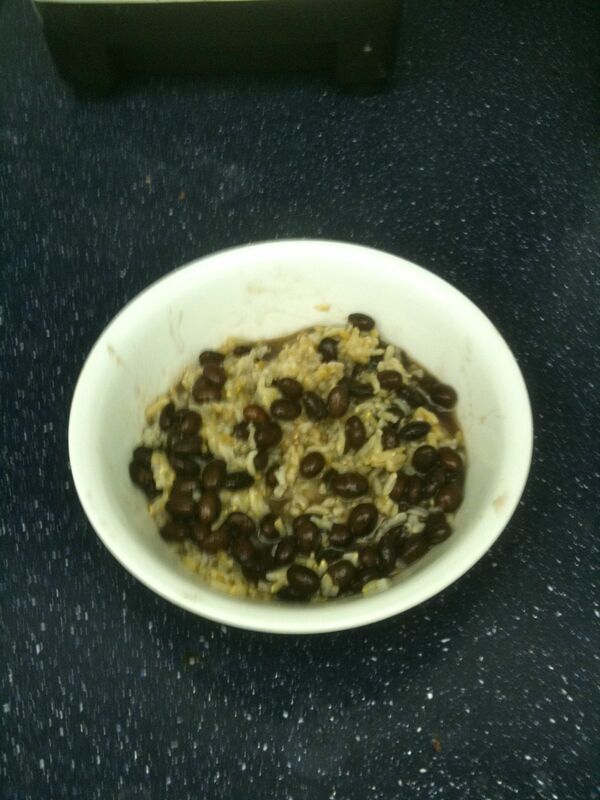 One serving amounts to around a cup of brown rice to 1/2 cup of black beans. This is 270 calories, total fat 1.5 grams, no cholesterol, 430 mg of sodium, 54 grams of carbohydrates, 7 grams of fiber and 9 grams of protein. This is complete perfect protein with all the essential amino acids. The rice and beans combine to accomplish that. I know this as a former vegetarian. Everyone is familiar with hummus, right? That pasty substance made from crushed garbanzo beans (chickpeas) and sesame seeds and spices. Years ago you had to go to a Middle Eastern restaurant to get it, but now lots of restaurants serve this as a tasty appetizer with pita bread. You can even pick it up at the supermarket. I am here to suggest that you take some home. Not from the restaurant. You can find it on many grocer’s shelves. I get the excellent Sabra brand at Costco in 2 lb tubs. 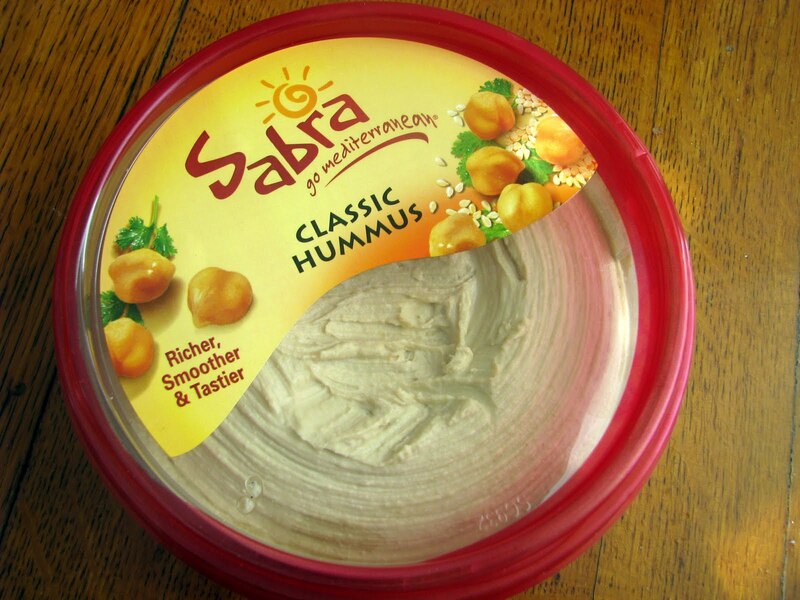 Sabra calls this their secret recipe. I don’t know about that, but I do consider it the most delicious hummus I have ever had. But that is personal. Hummus itself is really good for you no matter the brand. Got a pleasant surprise in Costco the other day. Saw a giant display of four pound bags of Quinoa. Normally, quinoa is only sold at health food stores. You don’t find it in regular grocery stores often. Also, it usually sells in single pound boxes. This was the usual great Costco bargain, 4 lbs for $10.00, about half the price you would pay at a health food store. If you are one of the many who aren’t familiar with this “mother of all grains” according to the Incas, read on. First of all, it isn’t really a grain although it looks like one. It is a small seed. Smaller than rice, about the size of couscous. 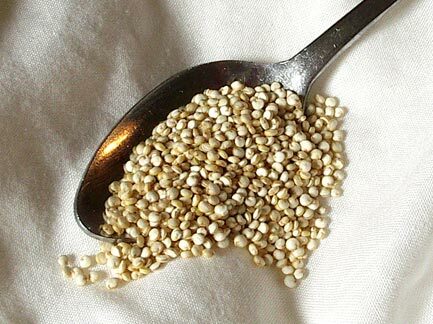 Quinoa.net says that quinoa contains more protein than any other grain. An average of 16.2% vs 7.5% for rice, 9.9% for millet and 14% for wheat. Quinoa contains complete protein, all the essential amino acids, unlike corn, wheat and rice which are incomplete proteins. Wikipedia says that It is also a good source of dietary fiber and phosphorus and is high in magnesium and iron. It is gluten-free and easily digestible. Because of all these characteristics, quinoa is being considered a possible crop in NASA’s Controlled Ecological Life Support System for long-duration manned space flights. Dani Spies, culinary nutritionist and fitness trainer who has her own website at danispies.com did an excellent presentation on You Tube. This is one of my favorite dishes of all time and an excellent example from Mr. Lazy Cook. I have one virtually every day of my life. It is an awesome snack after a bike ride or anything that tires me out. There is something about the combination of flavors of the various yogurts and kefir that I just love. This is a dish that I look forward to all morning and then feel disappointed about as soon as I have finished it. It weighs a pound and leaves me feeling wonderfully satisfied after eating. I would rather eat this high fiber parfait than a bowl of ice cream, and I love ice cream. I use a medium sized bowl that holds around a quart. Add a couple of strawberries cut into small pieces. A few blueberries are always nice, too. Next, pour in 3/4 cup of Vanilla no fat yogurt. Finally, pour in 3/4 cup of Plain whole milk yogurt. 478 calories, total fat 9.2 grams, Saturated fat 0.4 grams, cholesterol 27.2 mg, sodium 325 mg, Carbs 77 grams, Fiber 8.4 grams Protein 27.1 grams. Editor’s Note: I still make this wonderful parfait regularly, BUT I no longer use Kashi’s Go Lean nor any other Kashi product since they employ GMO ingredients. Just substitute a granola of your choice and this recipe stands. I tweaked this recipe on March 14, 2011 to reduce the yogurt and calories. I did one final(?) tweak on May 13, 2011.